There are eleven Individual Study Rooms located in the library. Individual Study Room 143 and 144 are located on the first floor of the library. Individual Study Room 143 is equip with media viewing capabilities. Individual Study Rooms 1 - 9 are located on the second floor. Each room accommodates 1-2 people. These rooms are available during library hours. 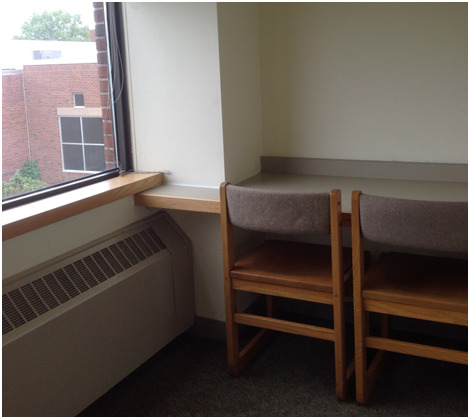 Three Individual Study Rooms may be reserved for a semester by faculty members on sabbatical and will be locked and removed from the list of available rooms. To inquire about this service, e-mail the Assistant to the Director of the Library or call 315-445-4320.